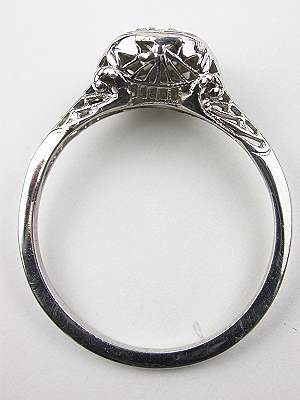 A pierced filigree mounting and a bead set Old European cut diamond create an enchanting design for antique Edwardian engagement rings like this one. 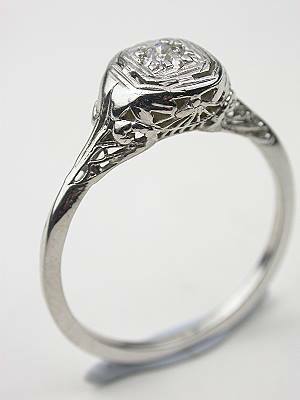 The old European cut diamond that is tucked in the center of this antique engagement ring radiates with 0.12 carats of diamond sparkle. 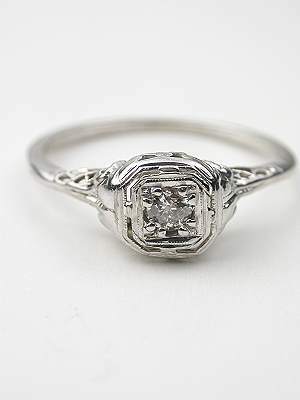 The diamond solitaire is set in a millgrain-trimmed square top plate. 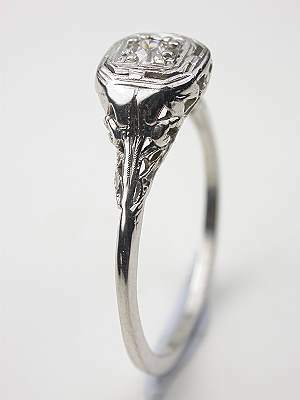 An 18k gold mounting provides a tonal backdrop for this Edwardian filigree antique engagement ring. Circa 1920. 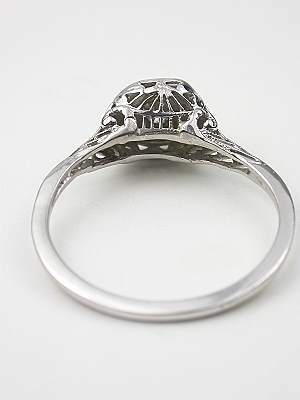 Special characteristics This antique engagement ring features a pierced filigree design mounting, Circa 1920. 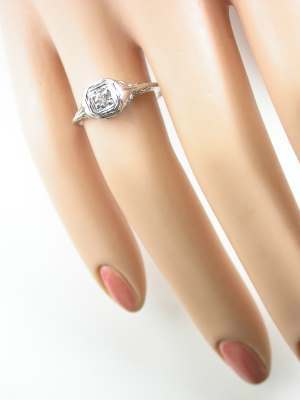 An old European cut diamond is bead set in an 18k white gold mounting with a 14k white gold shank.